Lord Belami is so close to happiness that he can taste it: he is engaged to the lovely Deirdre Gower and hopes that their wedding can go forward as soon as possible. Then, tragedy strikes. Deirdre’s guardian, the money-obsessed Duchess of Charney, worries that her wealthy and unhealthy brother is about to change his will and cut her out. Shortly after the Duchess delivers a bowl of stew to her sibling, he is found dead of arsenic poisoning. 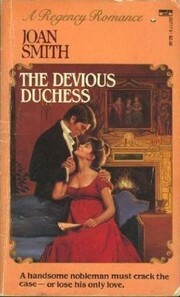 All the clues condemn the Duchess, and Deirdre is unwilling to go through with her wedding with such a scandal brewing. Now Belami, an amateur detective, must discover the truth about Dudley’s death–or lose his bride.